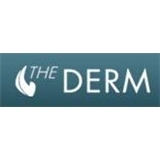 The Derm (Glenview) - Book Appointment Online! She is fabulous- very thorough, has great bedside manner, and takes time to give medical instruction and answer questions. This was my first time meeting Jessica and visiting the office. She was very informative & explained the procedures she would recommend for me. The office staff was very friendly & I look forward to future visits with Jessica. Thank you! Nurse Shannon was very helpful and kind, answering all my questions in a thorough manner. She listened to my descriptions of my situation and had lots of helpful recommendations to make. She prescribed creams that are already helping greatly with my issues.